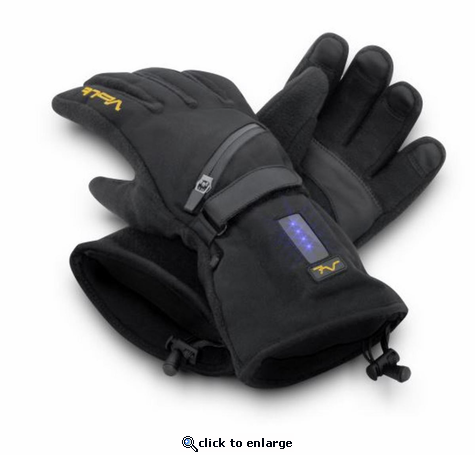 The Volt Heated Fleece Gloves are perfect glove for big city or country living. Powered by our rechargeable 7 Volt lithium battery, the soft fleece will keep your hands warm and cozy for hours. These gloves feature leather tipped fingers for increased grip and feel. The nylon back helps protect the glove from every day wear and tear and helps give the glove a comfortable fit. The soft tricot lining helps to wick away moisture and provide extra warmth. Adding the Zero Layer Heat System technology to this Fleece Glove has made it a must have for getting through the cold winter months. 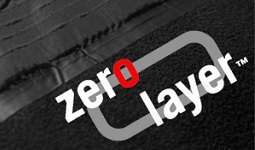 Volt Resistance Zero Layer Heating Technology Our patented Zero Layer heat system helps eliminate bulk while providing more efficient heat transfer than any other heating system available. What do we mean by more efficient? To keep it simple, it is because we basically eliminate the need to \xF1hide\xEE our heating system behind additional fabric layers which impedes heat transfer. This translates to more heat, better heat coverage, less battery power and longer run times. Each of our ultra-thin heating panels are constructed using tiny, imperceptible stainless fibers that are woven onto an insulated fabric. We then encapsulate these heating elements with a special thermal bonding sealing tape _ permanently protecting the heating panels and connections from the wear and tear caused by the rigors of daily use making it not only durable but also waterproof. Each heating panel is engineered to provide a specific amount of instant heat that evenly radiates warmth to the body to help chase away the cold. When you purchase your Volt heated clothing product made by 2K Innovations Inc., the electrical components of the product, the rechargeable battery, and the charger are warranted to be free from factory defects in materials and workmanship for 90 days from the date of the initial purchase. If you have a warranty claim, please return the entire product together with the original receipt and packaging to 2K Innovations Inc. for inspection. 2K Innovations will repair, without charge, products found under normal use to be defective during the warranty period. Volt Heated Clothing is proud to offer our patented Zero Layer heat system that helps eliminate bulk while providing more efficient heat transfer than any other heating system available. ACTIVE HEAT: Our heated gear is designed to keep out the cold and uses insulating materials to work with the body's natural ability to generate heat, but the drastic difference is that our heating technology provides "active" heat for those situations where the body is not able to provide warmth. This is especially important for people with poor circulation, or who suffer from conditions like Raynaud's Disease. 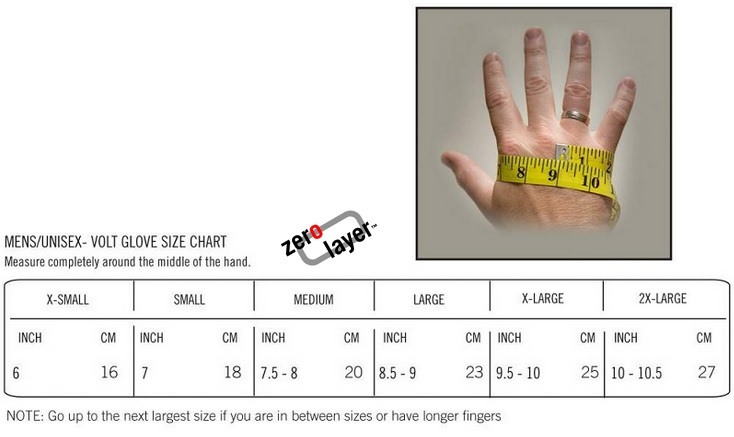 I think the only thing I have to say about these is they are Men's sizing for sure so if you are a Woman please make sure you are measuring your hand or accounting for the fact that they will be a little big. After something like 2-3 months of off/on use - maybe 15-20 wearings, one glove just quit working. The battery works fine in other gloves and no battery works in the one that failed. This should NOT happen after such a short time - if ever. So far, contacting the Warming Store for assistance has been problematic. Emails are responded to by a robot and phone calls are routed to an answering system - - and NOT returned.